The Evolution Rage3+ mitre saw was released to the UK market in September 2014. It is currently listed as the best selling mitre saw on Amazon. It forms part of the RAGE models manufactured by Evolution who also produce the FURY range of saws. We have rated this one at 4.5 out of 5 stars. Overall the reviews we read are very positive, and it is clear that buyers like this one a lot. 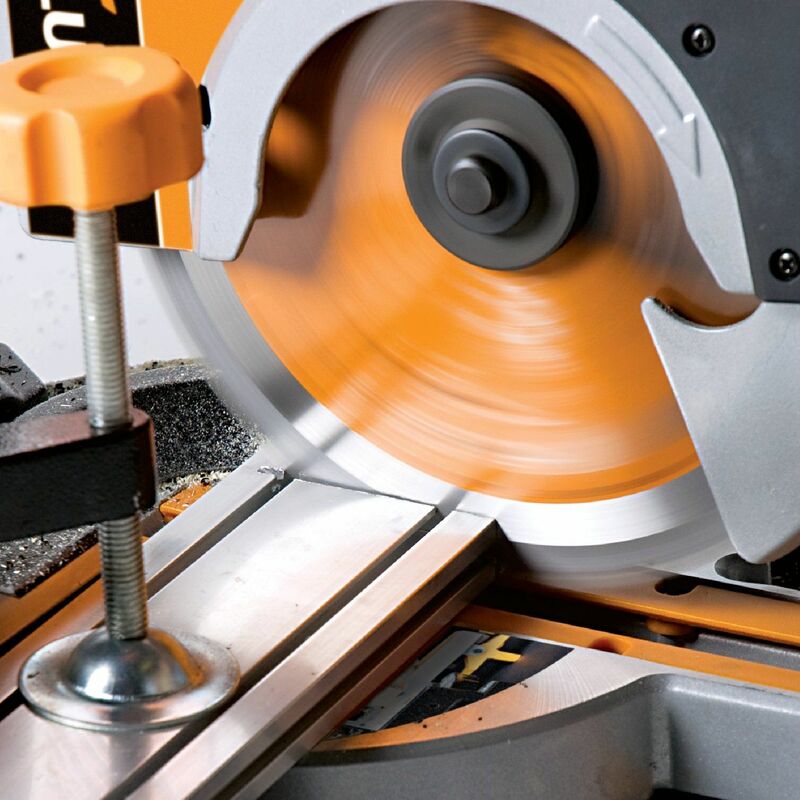 It is a 28-tooth saw and a multi-purpose sliding mitre saw. Below you can read my full review on this particular model. Below you will find my more detailed review of this high quality saw. I got to use this one around June of 2016 when working on a job with another builder. He had bought it and I always take any opportunity I can get to test drive any new saw. His overall view on this one was that it was a very good saw for the money. 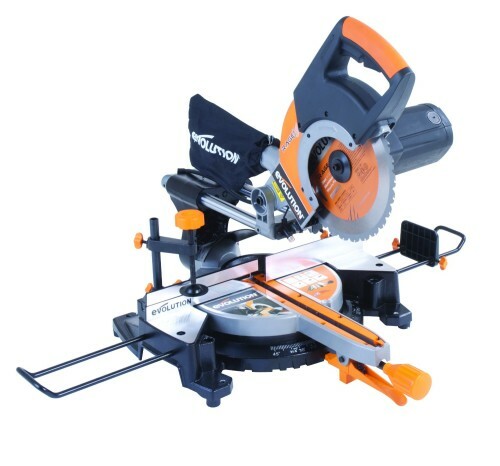 This is, as of writing this review, one of the best selling saws on Amazon. Almost all of the reviews over there are all pretty positive, so I of course wanted to try it, and also get his opinion. 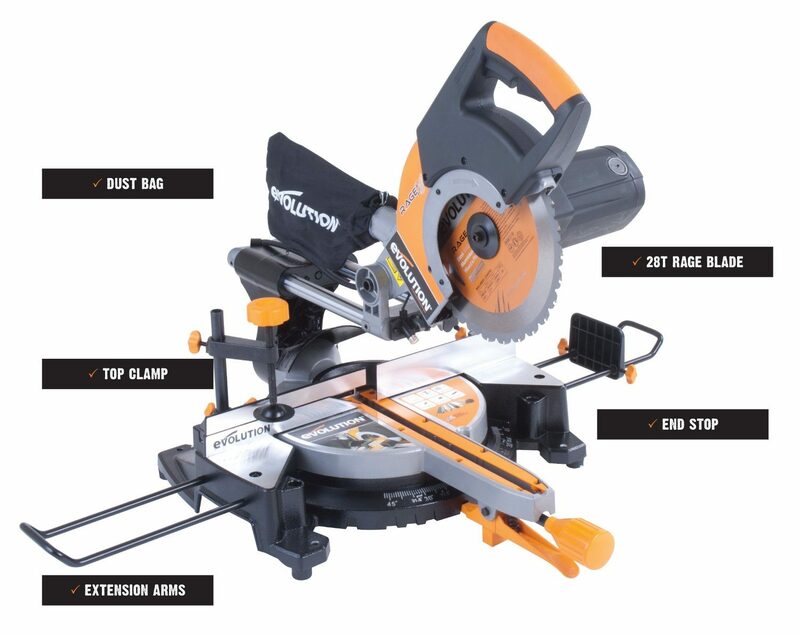 Now personally I like the Evolution range, and they are a good basic saw. This 3+ model looks good, and has all the usual hallmarks of most Evolution saws. Basic Set - Up - Now the one that I used was already set up. I asked Harry how hard that was to do. He told me that it didn't take that long to do though the instructions were poor. He also said that it didn't come with the side rails even though the image shows those. Accuracy - In terms of being accurate out of the box, it needed some fine tuning, but not a great deal. Overall he thought is was pretty simple to get going. Power - When you fire this one up, there is plenty of power which comes from a 2,000 watt motor and a high torque gear box. You can feel a good strength from the saw when cutting, so no real complaints there. Cutting Capability - It is a compound tilt and slide so will handle all of the normal bevel and mitres, and be able to do that on wider pieces of wood so that is a good thing. There is also a top clamp on this which is good for holding the work piece in place. It also has a few most commonly used mitre stops at 0, 15, 22.5, 30, 45 degrees and a 31.6 degree mitre and 33.9 degree ideal for coving. The Laser - I am not a huge fan of lasers and prefer to always mark the wood for cutting. The one on this is accurate enough though could be a little stronger in terms of the actual light. The key selling point of this one seems to be that you can cut just about anything using this saw. This is something that buyers refer to time after time. There is no need to keep buying different blades depending on what material you are cutting. This one comes with a multi-purpose blade, and yes I was able to cut through soft wood, hard wood (oak) and also through metal conduit. Overall it is well made and strong so should last based on that. Is This Evolution Model a GOOD Buy? I have read plenty of reviews on this model. Overall, buyers are more than happy with their purchase. They rate their purchase very highly indeed. On using the saw myself it gets the job done quickly. It is also super easy to use, and most importantly it is accurate. My single complaint was the laser light was just not strong enough for me. I would have liked to have that tweaked up a little. The average price for this in the UK market is around £165. When compared to other brands, that does represent very good value for money. I have no issues with the price. At the end of the day any sliding compound saw will cost at least this type of money. This model can cut up to 75 mm (about 3" deep) by 300 mm wide (about one foot) It comes with this universal cutting blade. Depending on what you are cutting through, the lifespan of the blade will vary. If used for only wood, it will last for a long time. The sliding action really helps increase the versatility of the saw. This can be used as a stand alone saw, but works better on a stand. There are good reasons why this one is the best seller over at Amazon. It is a good quality saw that cuts well and when I used it I liked it.